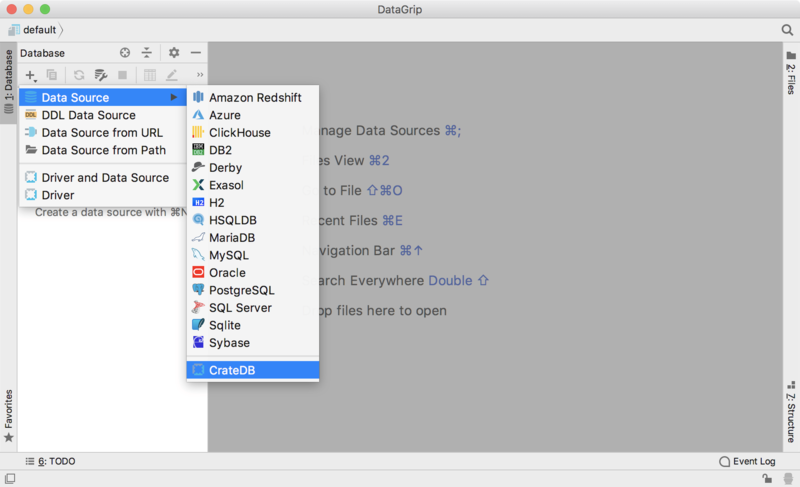 DataGrip is a cross-platform database IDE that is tailored to suit the specific needs of professional SQL developers. 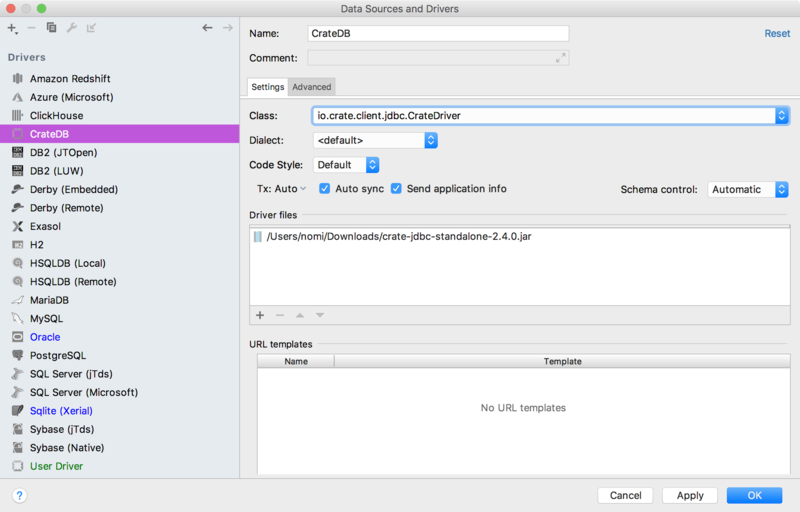 With the help of the CrateDB JDBC driver, you can use DataGrip with CrateDB. 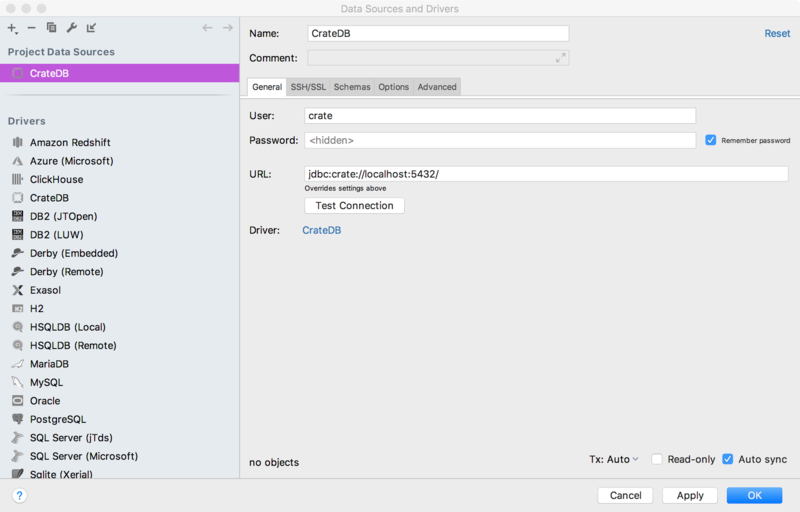 In this post, I will show you how to get set up with CrateDB and DataGrip as a desktop client for macOS, but these instructions should be trivially adaptable for Linux or Windows. 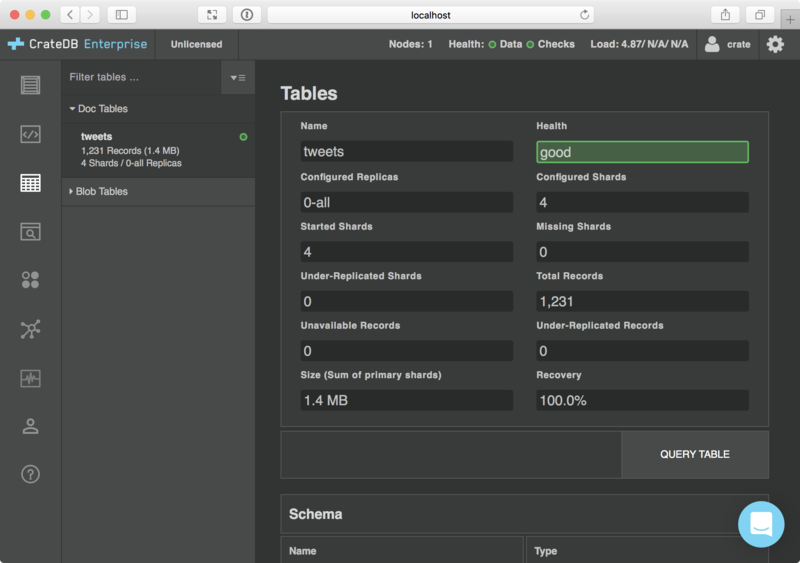 If you don't already have CrateDB running locally, it's very easy to get set up. 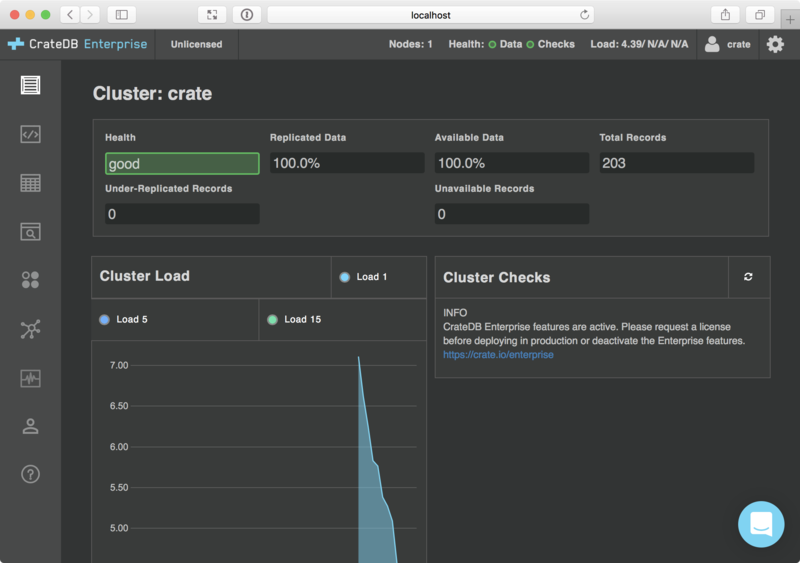 $ bash -c "$(curl -L try.crate.io)"
If you’re playing around with a fresh CrateDB install, chances are you don't have any data. So head on over to the Help screen by selecting the question mark icon on the left-hand navigation menu. 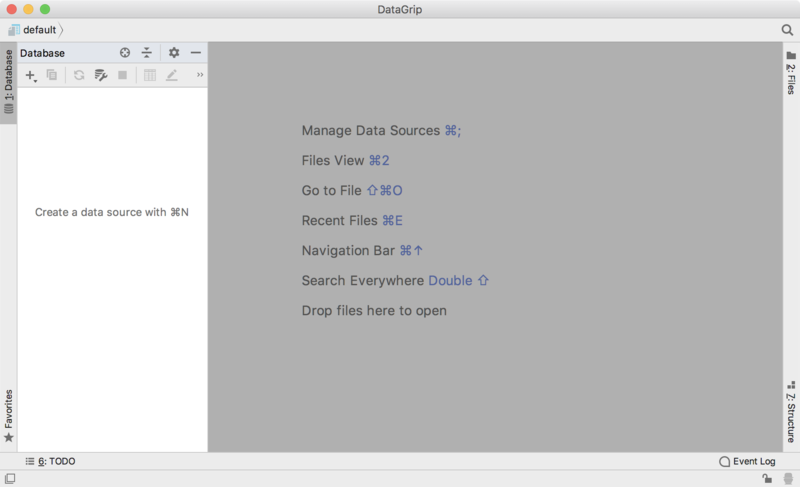 Head on over to the DataGrip page and select Download to start your trial. I'm using macOS, so once the download completed, I dragged the application icon to my Applications folder. 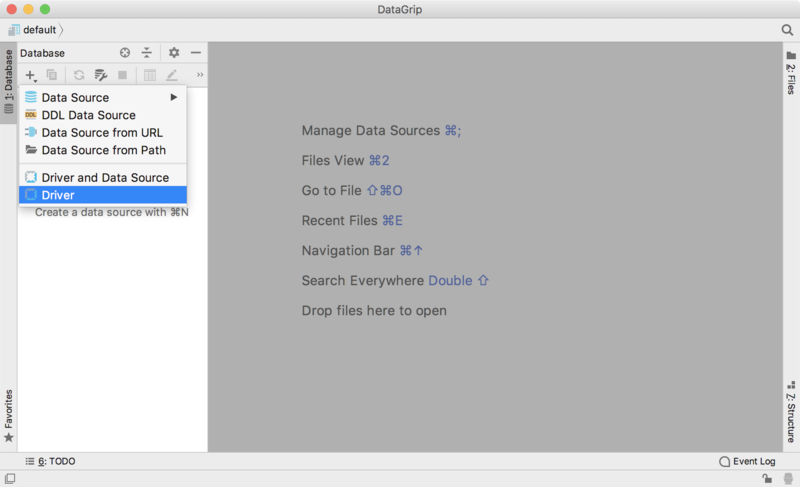 When you open DataGrip for the first time, you will be prompted to import settings, and then you will be prompted to activate the software. For now, you can select Evaluate for free and then Evaluate. 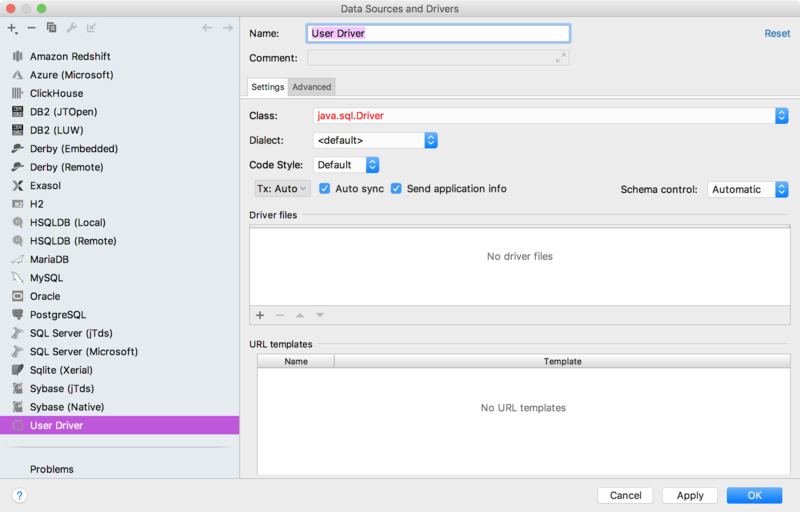 DataGrip does not come with a bundled CrateDB driver. But you can install one pretty easily. 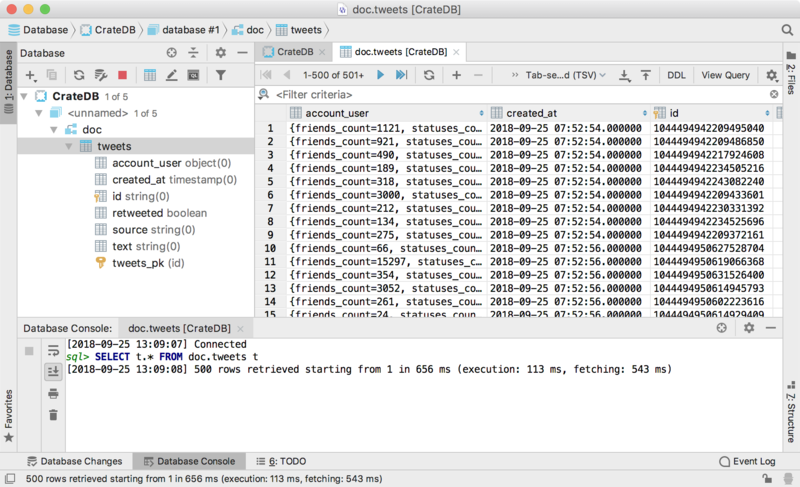 Firstly, download the latest CrateDB JDBC standalone JAR. 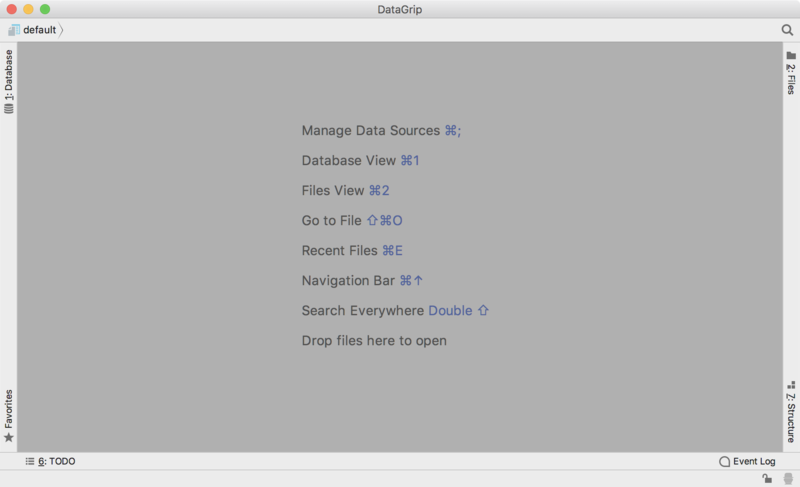 And from here, you can continue to explore the features of DataGrip. 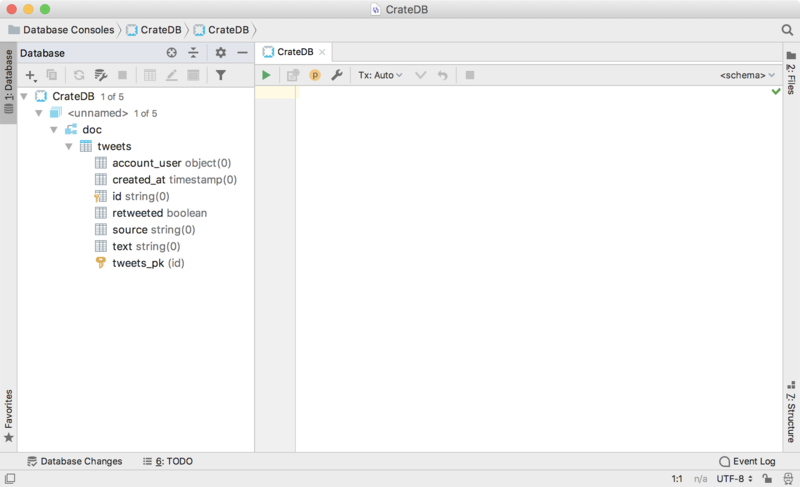 If you're looking for a fully-featured database IDE that works with CrateDB, DataGrip provides the goods. 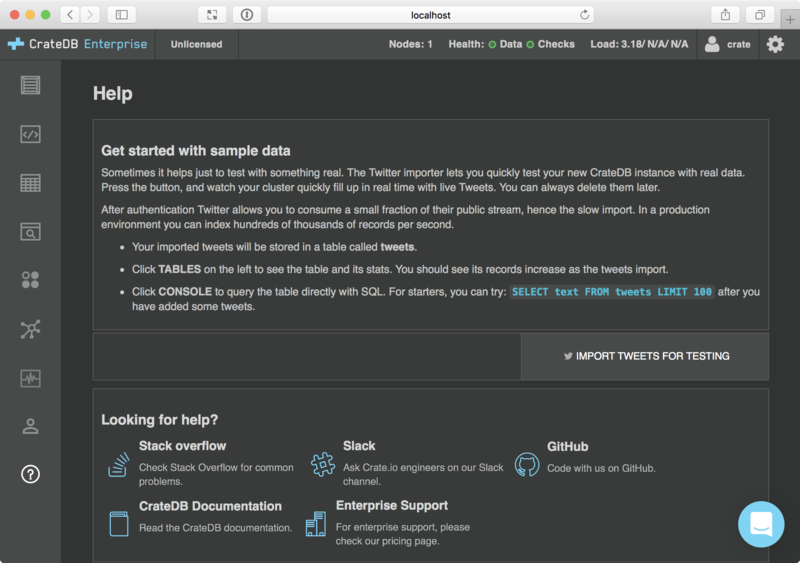 Explore your database, write queries using a powerful query interface, run queries, import and export data, and much more. Don't forget to check out the other clients that work with CrateDB.